Reviews, Home Inspectors, Home Inspection Companies. Your experience is important to me! Had an amazing experience! Went through each detail of the inspection thoroughly and made sure I understood each item that was being explained. Very helpful to see all the areas in which need proper care and oversight to make sure the Home stays functioning effectively and safely. Would definitely recommend to anyone looking for a home inspection! The best company around! We were in search of a new company after going through some issues prior and came across top choice. We were very very pleased with the customer service we received from todd. Prices were very reasonable and the quality of work was spectacular. I will forever pass this number along to anyone in need!! Todd is very thorough, professional, and all around a nice guy HIGHLY recommend! My husband and I were incredibly impressed with Todd’s thorough inspection. I also found the online system for payment, scheduling, and his follow up services very convenient and comprehensive! I can’t imagine a better inspection process. 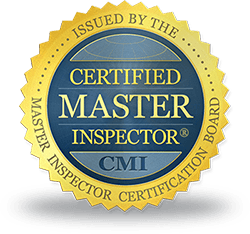 Todd Hoffmeyer was thorough and knowledgeable during our home inspection. Highly recommended! Very professional, helpful. Todd is great to work with. I highly recommend him! I was amazed of how clear and well designed was this report! It really helped us to understand better the real conditions of the house we were buying . The inspection was so easy to understand. Todd took the time to really explain everything he did so we could understand. My realtor said his inspection and layout for the report was one of the best she’s seen. I most definitely recommend him and esp. if you are a first time home buyer as he truly does make sure you understand everything!!! Thank you for the extremely thorough home inspection. Your time and effort were truly appreciated. I'm very pleased with the professional service I was provided.